Looking for visibility by a high-end customer group? 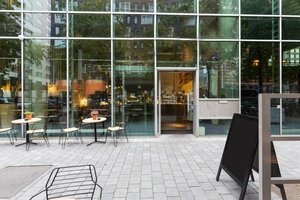 This amazing shared space has just come available in the center of the financial district in Amsterdam and it is a great venue for a Pop-Up Store or Private Sale. Located on the ground floor of a coffee bar in the financial district, your pop-up concept will catch the eye of thousands of passersby. 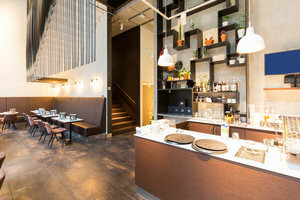 The space has a warm atmosphere and the high-end interiors add a beautiful feel to the space. 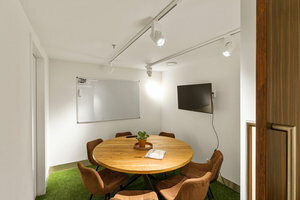 This space offers basic amenities including a TV screen and can accommodate a variety of unique and unforgettable pop-up events. This open space, which contains a freshly designed interior, is incredibly inviting and a great option for your next pop-up store.